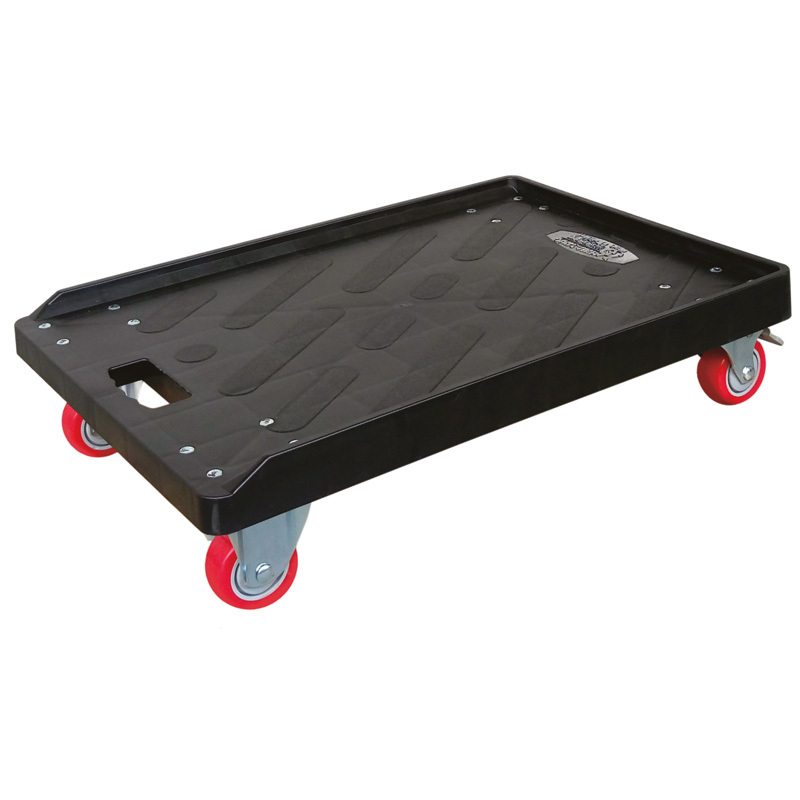 Shift your stuff quickly and safely with these super-tough injection moulded plastic platform dollies. Available with or without a lip, the anti-slip surface features a built in carry handle for comfort when transporting goods. These dollies are reinforced with steel bars to the underside of the platform. 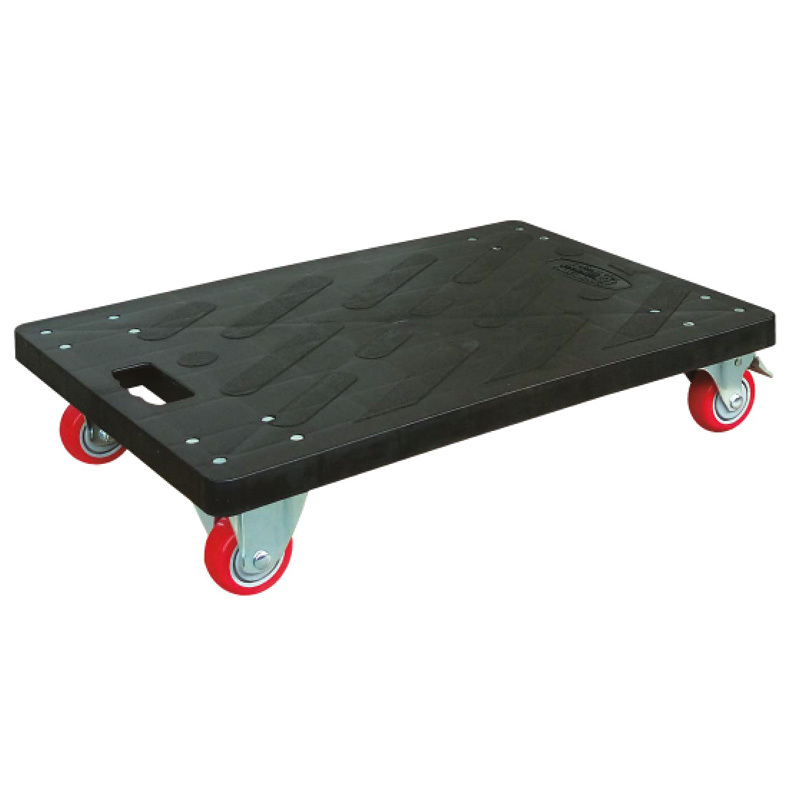 The two fixed and two braked swivel polyurethane tyres and non-marking castors make the dolly easy to manoeuvre. These strong silent types can handle loads of up to 300kg.